As the end of the fall semester approaches, the Swarthmore College Orchestra is preparing for its fall concert, featuring renowned cellist Amy Barston. Barston is one of the Department of Music and Dance’s Featured Artists for the 2018-19 year. Barston is an incredible musician who has played as a soloist with a number of prestigious orchestras, including a performance with the Chicago Symphony Orchestra at the age of seventeen. 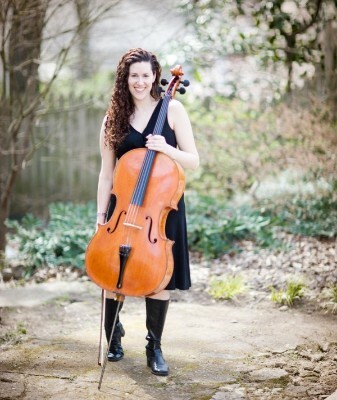 She’s also a Juilliard graduate and a cello teacher for the Juilliard Pre-College program, and held a master class for musicians at Swarthmore earlier this month. Dvorak was noted to have been originally reluctant to write a concerto for cello, arguing that the cello’s range was utterly unsuited for solo playing with orchestral accompaniment. However, it is now hailed as perhaps one of the greatest concertos of all time, full of beautiful melodic interplay and compelling themes. Hauze explained his thought process for why he found the Dvorak particularly well-suited for the Swarthmore College Orchestra. The other feature for the fall concert is Schumann’s Symphony no. 3. However, this was not the original plan for the fall semester. The Swarthmore College Orchestra’s fall concert is December 1st, at 8:00 pm in Lang Concert Hall.